NASCAR driver was named the 1994 Winston Cup Series Rookie of the Year. He started his professional racing career in NASCAR's Nationwide Series in 1988. 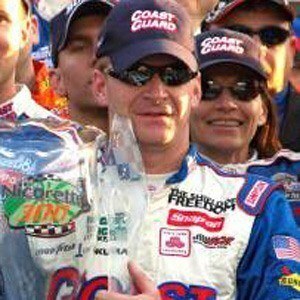 He had one of his best season finishes in 2000, when he placed 3rd in the NASCAR Sprint Cup Series. He had two children, Paige and Harrison, with his wife Kim; has a younger brother Ward, who also became a NASCAR driver. He bested Jeremy Mayfield and became the NASCAR Rookie of the Year in 1994.